What is a Constitutional Level of School Funding? Fact #1: How many states are still using Bill's poorly written and age inappropriate Common Core standards – paid for by Bill and written by a couple of Wall Street consultants? Here is reality: States were blackmailed to adopt the Common Core standards before they were even finalized by Arne Duncan. Almost half of these states abandoned the Common Core standards as quickly as they could. Currently only about 20 states still use the Common Core standards. Can it be that Bill Gates really does not know this??? 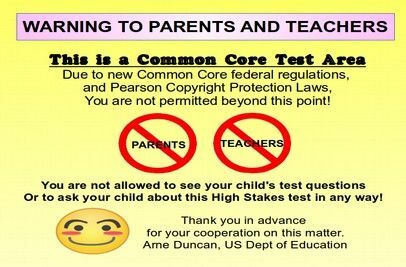 Bill's rigid Common Core standards which try to place every student in the nation in the same box, as if our kids were robots, is so opposed by parents and teachers that even in Bill's home state of Washington, both the Republican and Democratic parties overwhelmingly passed resolutions opposing Common Core and Common Core tests. When both political parties agree that Common Core is a disaster, it will not be long until it goes the way of the dinosaur. Fact #2: The Myth of the Super Teacher versus Smaller Class Sizes. Years of research has shown that lower class sizes are how teachers are best able to help struggling students. But throughout his speech, not once did Bill Gates mention the role of smaller class sizes. Instead, nearly his entire speech was based on the Myth of the Super Teacher. Here is reality: Nearly every one of Bill's pet projects, from Charter Schools to Teacher for America has been an attack on teachers. How charter schools increase their profits is by gutting teacher pay. Charter schools pay their teachers about half of what public schools pay their teachers. 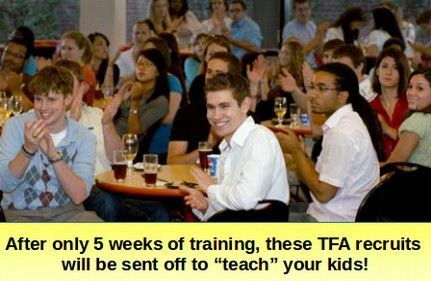 As for the fake teacher training program called Teach for America, does Bill Gates or anyone on the planet truly believe that the best way to have high quality teachers is to give them only 5 weeks of training before throwing them into a classroom of students??? Fact #3: There is no single measure of a great teacher because teachers like students are diverse. Bill would like us to believe that we can assign a number to every teacher and every student to tell the good ones from the bad ones. Humans however are much more complex than any computer program. Here is reality: Student test scores are not a measure of either student learning or teacher effectiveness. Numerous studies have shown that a teacher who is in the top quartile one year is likely to be in the middle of even bottom quartile the next year. The claim by Bill Gates that a great teacher can magically improve student scores by 10% is about as accurate as his claim that 42 states are still using the Common Core standards. What studies have shown is that lower class sizes so teachers can help struggling students is the best way to raise student achievement. But lowering class sizes would require Bill Gates to start paying his fair share of state taxes so instead Bill prefers to focus on “magic bullet solutions like finding the perfect teacher. Fact #4: Green Dot charter schools do not excel at supporting teachers and are not a good model for public schools. Green Dot charter schools make a massive profit for their corporate masters. But they condemn both teachers and students to hell on earth. Here is the reality of the Green Dot charter schools: A high percentage of the schools close after just a few years. Pressure on teachers is so intense that over half of the teachers quit within two years. Most teachers at Green Dot are TFA teachers with only 5 weeks of training. Most students either quit or are driven out of Green Dot for low performance. Out of a cohort of 90 6th Graders, there may be less than 20 left by the 11th grade. Of these 20, a high percent do graduate and some even go on to college. But of the entire cohort of 90 students, Green Dot schools perform far worse than comparable public schools. Here is a link to the horrors of Green Dot schools written by a former Green Dot teacher in 2013. Even former TFA teachers know that TFA is a scam. So why hasn't Bill Gates learned this lesson? Given the massive attrition rate of Green Dot teachers and students, for Bill Gates to claim that Green Dot is successful because it supports teachers is simply absurd. Fact #5: The US is not ranked in 14th place on international reading tests. It is common for people who have not done the slightest research to repeat the false claim that US students do poorly on international tests. In fact, adjusted for poverty, US students are among the highest performing students in the world. Here is reality: Students from high income families do better on international tests than students from low income families. Many nations “rig” their international tests but only having high income students take the tests. Other nations that do well on international tests (like Finland) do not have many low income students. The US has all of their students take international tests. The US also has one of the highest poverty rates in the world. Two of the three major international tests—the Progress in International Reading Literacy Study and the Trends in International Math and Science Study—break down student scores according to the poverty rate in each school. The tests are given every five years. The most recent results (2006) showed that students in U.S. schools where the poverty rate was less than 10 percent ranked first in the world in reading, first in science, and third in math. When the poverty rate was 10 percent to 25 percent, U.S. students still ranked first in reading and science. The authors provided extensive data confirming that “If U.S. adolescents had a social class distribution that was similar to the distribution in countries to which the United States is frequently compared, average reading scores in the United States would be higher than average reading scores in the similar post-industrial countries we examined (France, Germany, and the United Kingdom). The reason US students as a whole score poorly is because of the high rate of poverty in the US. The high rate of poverty is caused by the concentration of wealth in the hands of a few billionaires in the United States. Sadly, despite being the richest man in the world, Bill Gates refuses to pay his fair share of state and federal taxes. If we could get Bill to take some responsibility and pay some taxes, we could hire tens of thousands of teachers who could give struggling low income students the help they need to succeed. Bill Gates literally is the cause of the problem he is now complaining about. Fact #6: Forcing all students into the Common Core mold does not respect the diverse ways that students learn. We have known for a long time that students learn at different rates and have different learning styles, and different interests. A serious flaw of Common Core is that it expects all students to learn the same skills at the same time and in the same way. It ignores the research about child differences. Here is the reality of the Common Core Straight Jacket Approach to Education: The focus of Common Core is on teaching to the test and very convergent learning styles promoting low level learning which is little more than repeating back what the student was told. No diversity is allowed. No room for differences in learning styles or differences of opinion. It is more like a military boot camp or brain washing approach to education rather than training to be an active participant in our democracy. Fact #7: What we have here is a failure to do research on child development. Bill Gates clearly is clueless about either teaching or child development or public schools. Here is a final quote from Bill Gates: “What we have is a failure to communicate… We need to figure out how to get the practices that are gaining success in one school, district, or state to be adopted in many others… If you’re a governor or state chief, I urge you to take a hard look at whether your system is giving teachers the support they need. Here is reality: The reason we have a failure to communicate is because Bill Gates refuses to listen and refuses to do any research on child development. Instead he surrounds himself with “Yes” men, charlatans, hucksters and con artists – all of whom take advantage of Bill's deep ignorance and huge ego. Here is a quote from a real education leader, Carol Burris, the executive director of the Network for Public Education: "The Gates reforms of Common Core plus testing plus teacher evaluation based on test scores has been a disaster in New York… There's a reason that over 220,000 students opted out of the common-core exams in New York. If you talk to parents in the opt-out movement ... what they say universally is they do not want their teachers evaluated by test scores because they understand that when they are, there's a hyper-focus on teaching to the test." 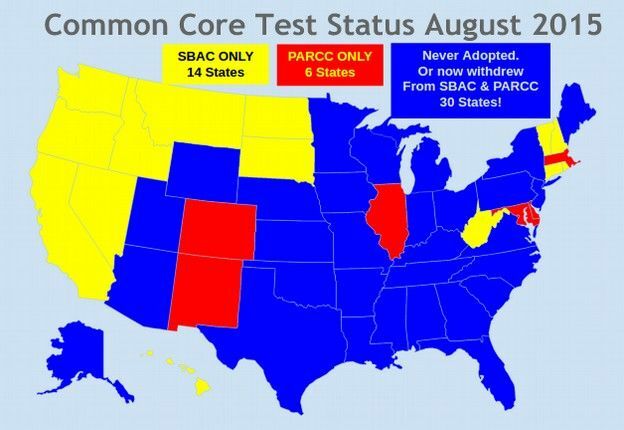 If Common Core and the Common Core SBAC test are so wonderful, then why hasn't Bill put his own kids in a Common Core school. Bill spends a huge amount of money to send his kids to the best private school in Seattle, a school called Lakeside. Lakeside has no Common Core book or tests, it has no TFA teachers, it has none of the things Bill is trying to push on all of the other schools in the nation. If highly paid teachers and small class sizes are good enough for Bill Gates kids, then our kids should have this same opportunity for small class sizes and highly paid experienced teachers. In the meantime, we need to end the Bill Gates led Common Core nonsense as soon as possible. The harm it is inflicting on our students must be stopped. Please share this article with any other parents or teachers you know who are concerned about the future of our kids and our schools. As always, we look forward to your questions and comments.